Popular pre-school show now airs in 160 countries worldwide; eOne eyeing licensing expansion in Germany and Spain. Entertainment One’s popular pre-school property Ben and Holly’s Little Kingdom is returning to Italian and Australian television channels with a second series. The award winning show has become a ratings winner since debuting on Italy’s kids channel RAI Yoyo in 2012. 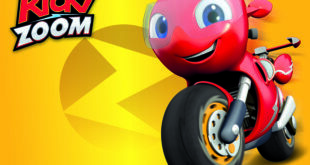 Meanwhile, the show airs daily in Australia on ABC at 7.45am. 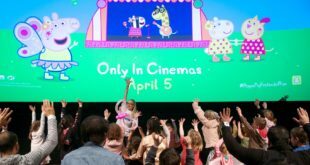 Monica Candiani, head of international sales at Entertainment One Family, said: "Series one of Ben and Holly’s Little Kingdom received great ratings in Italy and Australia and these returning broadcast deals from RAI and ABC demonstrate that the show has found its way into the hearts of pre-school audiences there." Ben and Holly’s Little Kingdom now airs in over 160 countries worldwide and in addition to its popularity in Italy and Australia, the show boasts strong broadcast figures in Germany and Spain as eOne looks to extend the licensing programme into these territories.